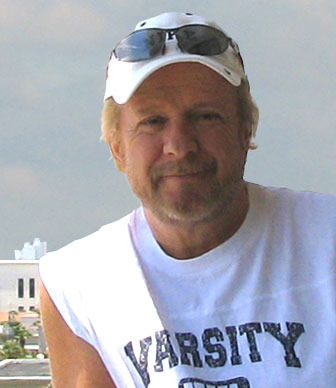 Tom Marlin, founder of Marlin Studios, has worked in the computer industry for most of his career in a number of management, marketing and technical positions. His experience spans positions as a Marketing Communications Manager for Harris Corporation to a System Automation Consultant for the US Federal Reserve System. He is an accomplished classic artist, publisher, producer, writer, game/web designer, photographer and 3D animator, with successful commercial texture collections and award-winning video game titles to his credit. Tom also authored a highly acclaimed novel, Three Forks -- A Novel of Texas, and contributes to various books and magazine articles on computer graphics. When Tom is not pushing pixels around, writing, or helping other artists through Tech Support, look for him on the local tennis courts or catching waves at the beach.